Vinrac are an Australian Company, located at 69 Chivers Road, Somerzby NSW, 2250. We designed our clever, unique and modular “Vinrac” wine rack system right here in Australia. 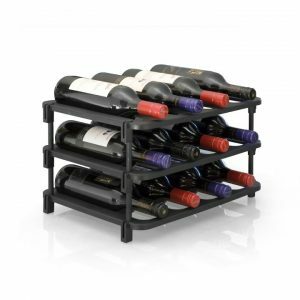 Our Wine racks feature an easy to assemble, modular design and are made of durable recycled, plastic. Our Wine Racks are suited for a variety of applications, whether it be a home cellar, small wine rack or for Commercial wine storage. Copyright © 2017 Vinrac Pty Ltd.